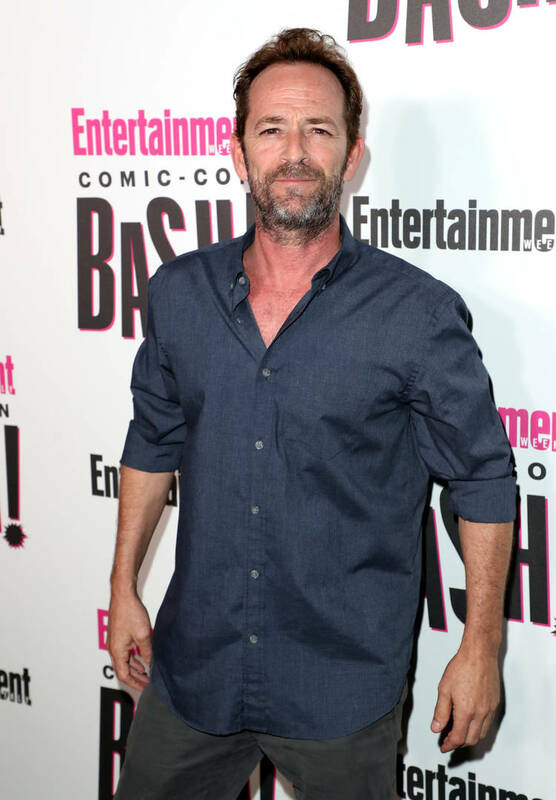 Luke Perry has passed away at the age of 52. Last week, it was reported that the Riverdale and Beverly Hills 90210 star had suffered a stroke at his home in California. He was brought to the hospital on February 27 but unfortunately, complications from the stroke led to his death a few days after. According to TMZ, he passed away early this morning after doctors sedated him in an effort to assist his recovery. A statement has been issued to The Hollywood Reporter regarding his passing. "He was surrounded by his children Jack and Sophie, fiancé Wendy Madison Bauer, ex-wife Minnie Sharp, mother Ann Bennett, step-father Steve Bennett, brother Tom Perry, sister Amy Coder, and other close family and friends," said spokesperson Arnold Robinson. "The family appreciates the outpouring of support and prayers that have been extended to Luke from around the world, and respectfully request privacy in this time of great mourning. No further details will be released at this time." Perry rose to fame through his role as Dylan McKay on Beverly Hills 90210. Most recently, he starred as Archie's father in Riverdale. Many of Perry's peers have been reacting to the unfortunate news on social media, wishing his family well and praying for them. Rest in peace, Luke Perry.